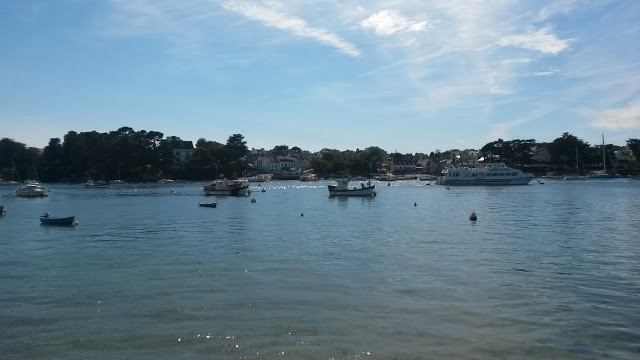 Have you ever been to Brittany or thought about going on holiday there? 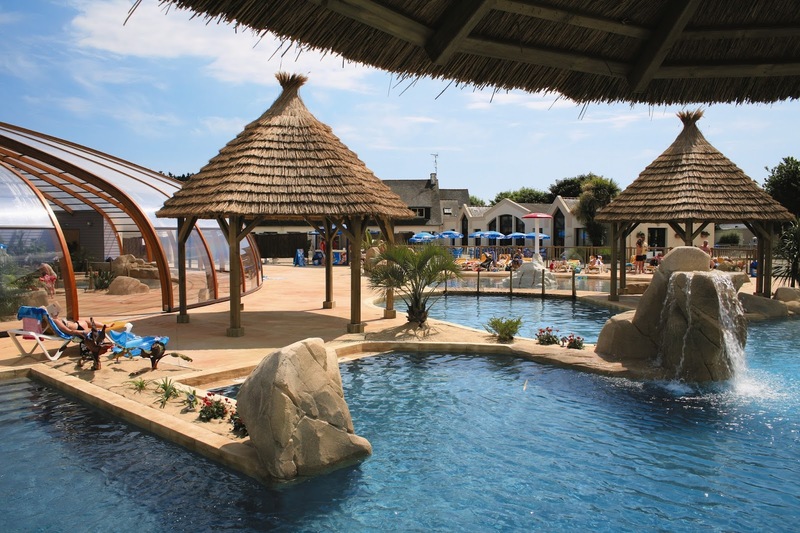 I have to admit I hadn’t until Eurocamp got in touch recently asking me if myself and my family wanted to take a trip to review the Green Key awarded La Pointe St. Gilles Campsite in Benodet this summer. Having now spent a really lovely and relaxing couple of weeks there I am now pretty smitten with the area and the site we went to! We stayed in a modern, cleverly laid out mobile home, which was just perfect for our needs. The kids shared a room and we had our own room. There were two separate rooms for a shower and a toilet and the central part contained a kitchen and dining area. The fridge freezer was a good size and there was an oven, a hob and a bbq for us to cook food on. The best thing about it was we were able to have deliciously lazy mornings while our kids played with the other kids in the neighbouring mobile homes as we were surrounded by families with kids of similar ages. 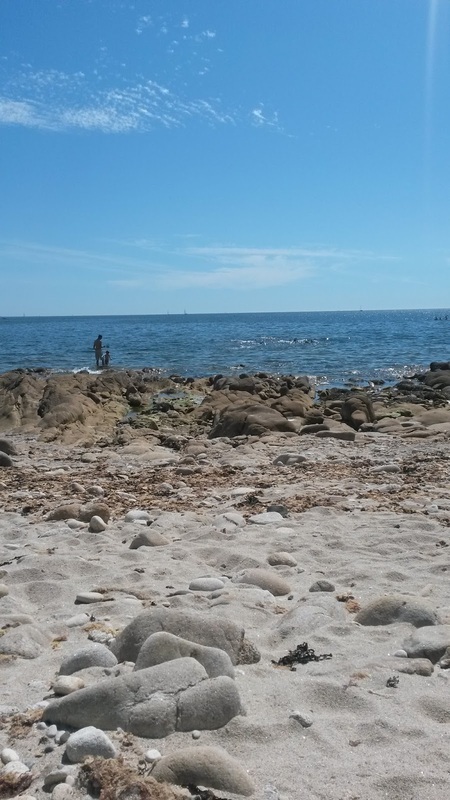 La Pointe St Gilles is situated in an idyllic location just minutes from a small sandy beach with rock pools, which the kids loved clambering over and searching for wildlife in. A short 10-15 minute walk away is a longer sandy beach in the centre of Benodet teeming with families enjoying the sunshine. The water is crystal clear and although a bit chilly when you first get in, makes a very nice contrast to the heat of the day! On site there is a fantastic swimming pool with small and large slides, a lazy river and a variety of pools of varying depths to choose from. The kids absolutely loved the pool and we went swimming most days. It did get a bit packed at times and unless you got there early there wasn’t much hope of getting a sun lounger. We usually ended up finding a chair or two though. 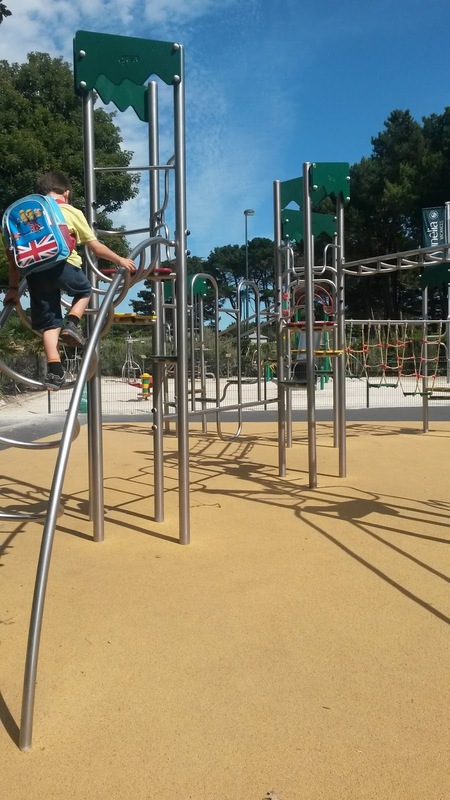 If you have younger kids you do have to be a bit careful with them on the bigger slides as they are unsupervised. There were also restaurants, a shop, a good sized playground, a bar with evening entertainment, a kids club, a laundry room, a spa and more on the site! You might be wondering if I have suddenly turned into a travel blogger, not an eco money saving one! Well don’t worry there was a reason that Eurocamp decided to send me and my family to this site and when I was there I quizzed them on what they do to take the environment into consideration, which you can read about in my next blog post! 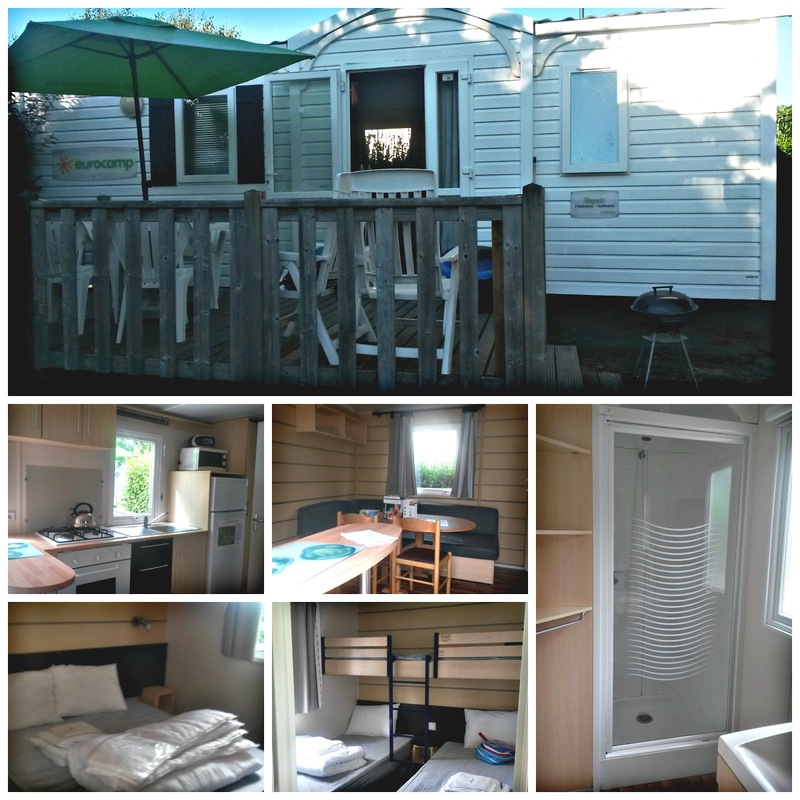 Update you can read my next blog post here: Eurocamp Le Pointe St Gilles – a green review! This entry was tagged campsite, eco, Eurocamp, family budget, family holiday, review, summer, summer holiday. Bookmark the permalink. Mrs T and I have already spoken about taking the little one camping in France when she's a bit older so will have to try to remember this site when the time comes. It really does look perfect. Of course having the luxury of a mobile home might be a bit nicer as well especially for the first time away. Quick question did you drive and if so how long did it take? We got the ferry to Calais and drove from there. We stopped overnight half way which broke up the journey so it was a few hours of driving each day in France, which wasn't too bad. You probably could do it in a day, it would just be a lot of driving! Thanks for the reply. Breaking up the journey seems like a sensible way of doing it!